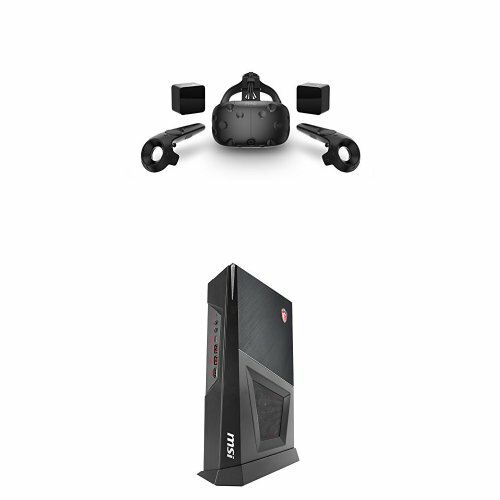 HTC VIVE - Virtual Reality System & MSI Trident 3 Gaming Desktop i5-7400 GTX 1060 8GB RAM 1TB HDD Bundle by HTC / MSI at Kode Fu Guru. Hurry! Limited time offer. Offer valid only while supplies last. Vive is built from the ground up for room-scale VR, which allows you to physically move around objects in the virtual space. Enjoy hundred of games for SteamVR, plus everything you love about Steam in VR. If you have any questions about this product by HTC / MSI, contact us by completing and submitting the form below. If you are looking for a specif part number, please include it with your message.